US President Donald Trump’s recent economic retrenchment has left both competitors and traditional allies reeling. In moves that often seemed designed to appeal to his domestic base rather than craft a coherent strategic approach, the president has threatened or implemented unconventional trade policies that are reshaping US economic engagement, with inevitable spillover effects for the greater global economy. Many of Trump’s trade decisions were clearly flagged during the 2016 campaign, such as the early withdrawal from the Trans-Pacific Partnership (TPP) trade agreement and the more recent on-again, off-again hostility with China. There has been, however, an element of uncertainty pervading these decisions, with the president recently pledging to rescue a Chinese telecoms firm despite the ongoing possibility of a bilateral trade war, and even indications of rejoining the TPP. Similarly, the steel and aluminum tariffs levied against traditional allies Canada, Mexico and the EU have left some scratching their heads. In some senses, the administration’s new tack has been more welcomed by its Mena friends. Both the move of the US embassy to Jerusalem and the withdrawal from the Joint Comprehensive Plan of Action (JCPOA) on Iran’s nuclear program appealed to separate, but key, allies in the region. The shifting stance of the behemoth US economy as it appears to be inching toward the possibility of a trade war will inevitably send shockwaves, and even affect countries that are not directly targeted. Still, might the warnings of a trade war be overblown? Trump has an established pattern of wrong-footing opponents by controversial or apparently erratic behavior. However, there are concrete consequences already falling into place, as Mexico has slapped back with $3 billion in tariffs, and Canada and the EU threaten to file suits. Nations bristling at hostile US trade policy are as diverse as Russia, Japan and Turkey. But the elephant in the room is China’s recent warning of suspending trade talks about narrowing the US trade deficit, which could further push the two largest economies toward a crisis. Cooperative relations with the Gulf Arab states, particularly Saudi Arabia and the UAE, remain a pillar of the White House’s foreign policy and, besides Trump’s exhortations for Riyadh to spend more billions on defense, trade relations have remained relatively unruffled. The most contentious legacy economic dispute, involving the largest US airlines accusing UAE and Qatari carriers of unfair competition, is now being resolved under voluntary agreements favored by the US administration. The Gulf states, however, are vulnerable to different degrees to shifts in the global economy, as seen in the reverberations from the 2009 financial crisis born from distortions in the US real estate and banking sectors. The region’s position as a bridge between East and West, both tangibly as a shipping and logistics hub but also as an interlocutor, makes it broadly susceptible to declining global trade volumes. The Gulf states also have increasing economic, political and military stakes in regional countries affected by the Arab uprisings and recent conflicts, including Egypt, Iraq, Libya and Tunisia, which are in different ways balancing continuing security issues with much-needed economic development. All of these countries are reliant on foreign direct investment by state and private actors, with economic growth and improving living conditions for the populace integrally connected to long-term stability. However, the economic dimensions of the JCPOA withdrawal, even setting aside security implications, is probably the most consequential of Trump’s recent decisions affecting the Mena states. The US attempted isolation of Iran is part of a harder line favored by some of the Gulf states, but it could have unintended consequences, in particular pulling Tehran further into Beijing’s orbit as it seeks alternative markets for oil production. The current disagreement between Washington and the major EU countries that were partners in the agreement also risks pushing Iran toward Europe – although the prospect of major EU companies choosing to hazard US sanctions and access to the world’s largest economy to do business with Iran remains unlikely. The consequences of all of these US initiatives will take months, if not years, to unwind. However, the rule that uncertainty rattles long-term investors certainly holds true. Investment in local markets has already showed a measure of cautiousness, but it must be remembered that the ambitious economic visions of the Gulf Arab states are measured in decades, not years. And the solutions for buffering short- to mid-term shocks and achieving long-term goals coincide: economic diversification. The hydrocarbon-rich economies have to wean themselves off energy exports to protect themselves against price swings connected to global events. 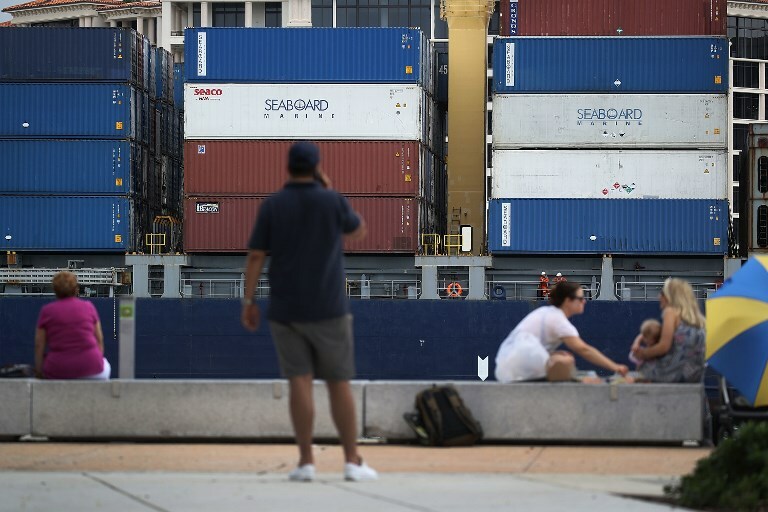 As much as Washington risks backing away from its trade partners by seeking to negotiate “better deals,” the global economy will assuredly continue to become increasingly intertwined. The recent furor only reinforces the Gulf states’ need to approach that inevitability from a position of durable strength. Haifa Ahmed AlMaashi is director of geostrategic studies at the Dubai Public Policy Research Centre.